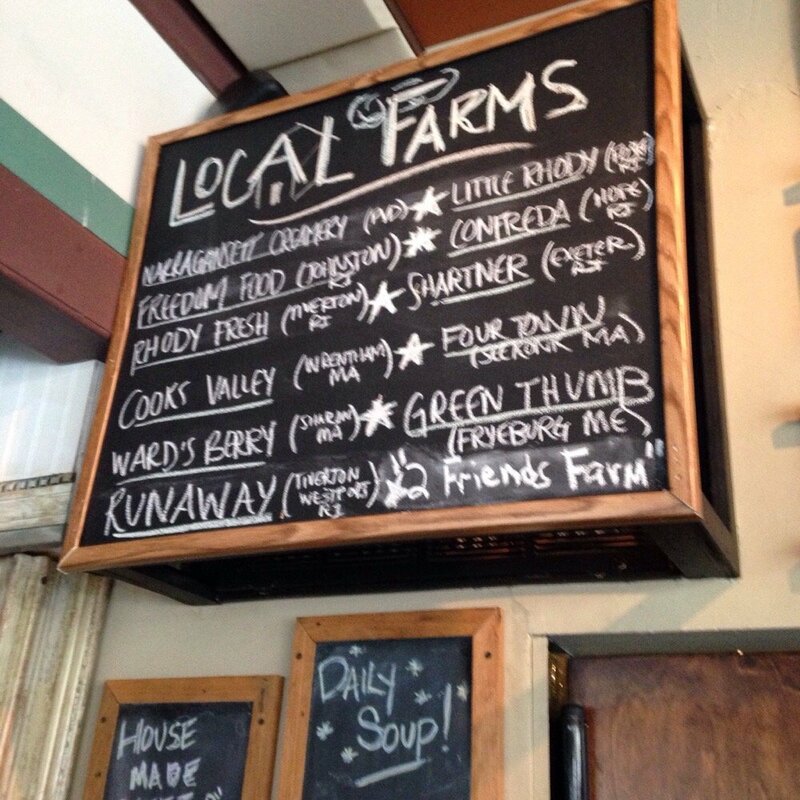 Thought it would be a great idea to share some vegetarian and vegan friendly restaurants as per request of some Great Neck, NY friends! 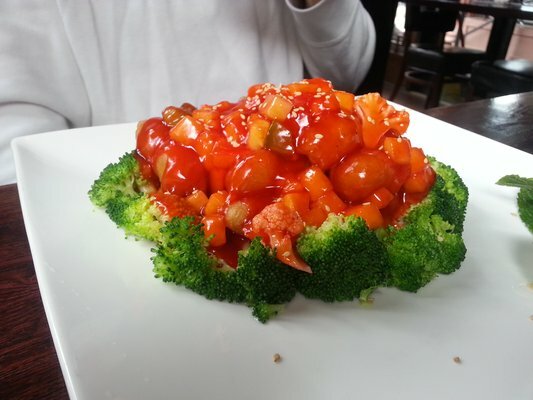 Veggie Fun specializes in vegetarian Asian food. Known for their amazing food, polite staff and fun atmosphere. Small space, good for groups of 4-6 people. They serve large protions enough to share. Some fan favorites are the seasonal spring rolls, General Tso, veggie dumplings, Orange Seitan, and udon soup. As220 Food, is a happy medium for both meat eaters, vegetarians & vegans. A large seasonal menu, craft beers, and happy hour deals keep this restaurant a hot spot to visit. Top fan favorites are Mac & Cheese, crispy chickpeas, veggie burger, and pulled pork sandwich. AS220 is known for great art, an amazing print shop and fantastic food. Great for groups, or small gatherings. 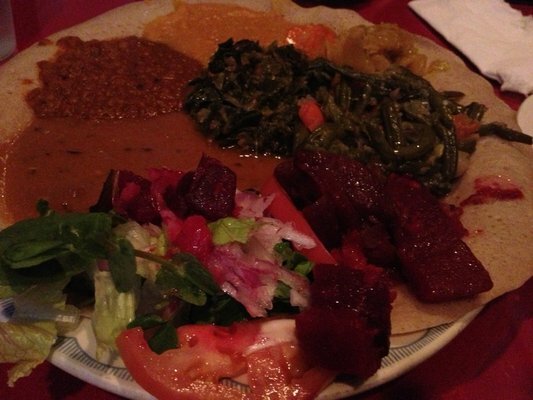 Abyssinia is known for great Ethiopian food, comfortable atmosphere, and plenty of options for vegetarians and vegans. Some of their most sought after dishes include; East African Snack – fried yam cakes, & Vegetarian Combo for Two. Abyssinia is a BYOB establishment, there’s a liquor store on Benefit Street called Darwin’s. Great for groups and small gatherings. The Grange innovative vegetarian cuisine, fun dishes, and great atmosphere on the West side of Providence. Make reservations or be ready to wait, definitely worth the wait. 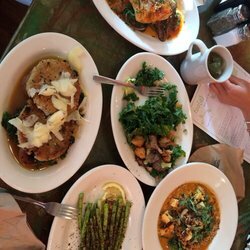 Local favorites include Risotto Cakes with Onion Jam, Pistachios, & Parnips, Tofu Scramble, Mushroom Frittata, and Kale with Wild Rice Soup. Make sure to save room for dessert!